Look chic with the Palmier Taupe Pouch by accessories designer Elizabeth Scarlett. 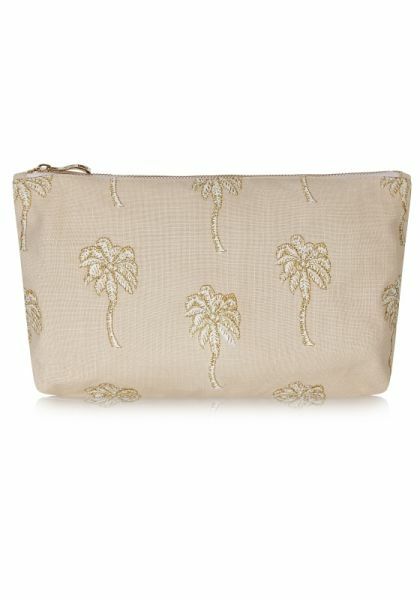 Perfect as a beach clutch or a washbag, the Palmier Pouch features hand illustrated gold and white palm trees embroidered onto a taupe cotton/linen blend, with a gold zip embossed with a lotus flower, symbolising peace and purity. Measures 20 x 30cm, lined with PU coat on the inside.